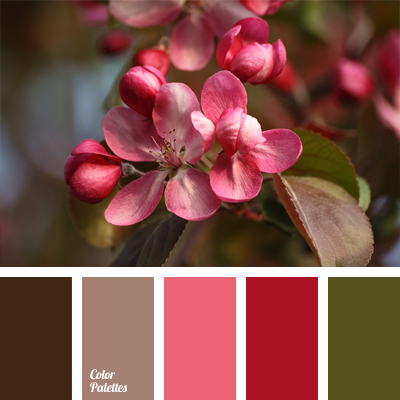 Natural combination of brown and pink shades with olive green. 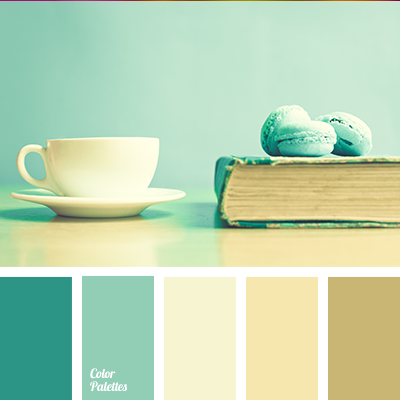 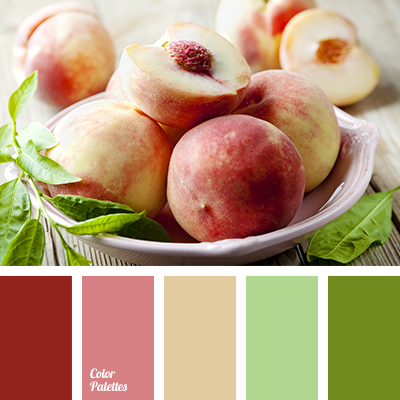 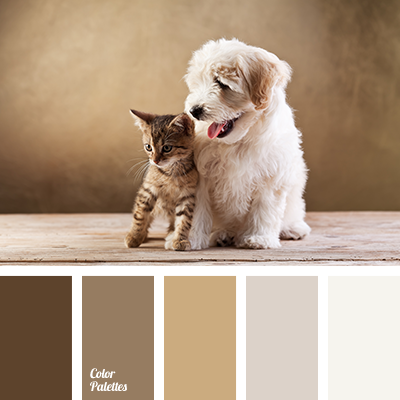 This color scheme can be used to design a small hall of a city apartment or a spacious outdoor veranda of a country house. 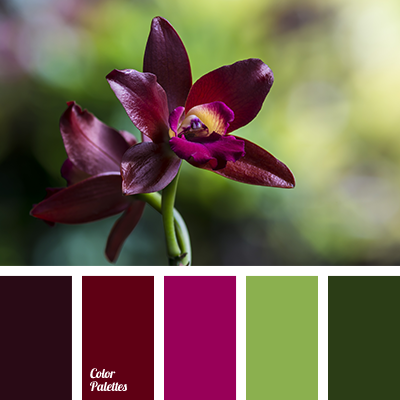 Floral interior will create a cozy atmosphere and bring personality to the room.